Too often there is a chasm between the technology design and the user need. Technology alone is not enough. Whether a business area or a consumer product, delight is a unique feature requirement. 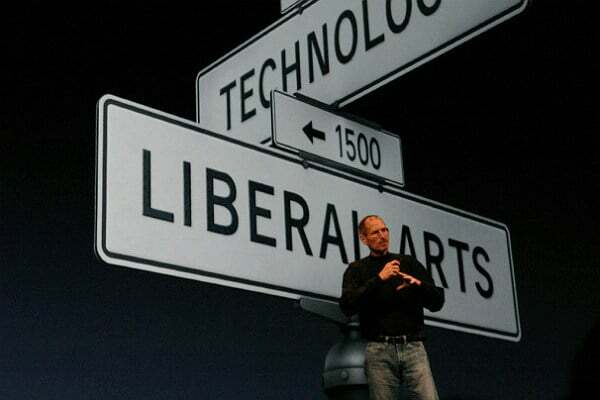 Technology married with the liberal arts or the humanities creates results that delight. Apple competitive advantage is that product architecture and the organization architecture that build the products align. Intuitive products rely on user objective, not technical wizardry. From an email to a presentation, we design for reaction, from communication to technology, the goal is reaction. Features and functions of the software, hardware, and applications need seamless integration to meet user objective, not technical architecture. The design function is the user objective. Function goes beyond the lab and into the environment objective. This video reminds me, again, about good design. In your next technology discussion think about what, exactly liberal arts and the humanities has to do with user-centered delight?